This Sunday was the second running of 999 Emergency Day and it proved to be incredibly popular, with visitors queuing at the museum entrance as we opened at 10:00am. While the day was a chance to enjoy the Museum’s attractions, more importantly, it was also a chance to meet the hugely diverse range of North of England’s Emergency Services teams, all in one location. These expert teams are a combination of both full time staff and also valuable volunteer members contributing their valuable skills in emergencies. 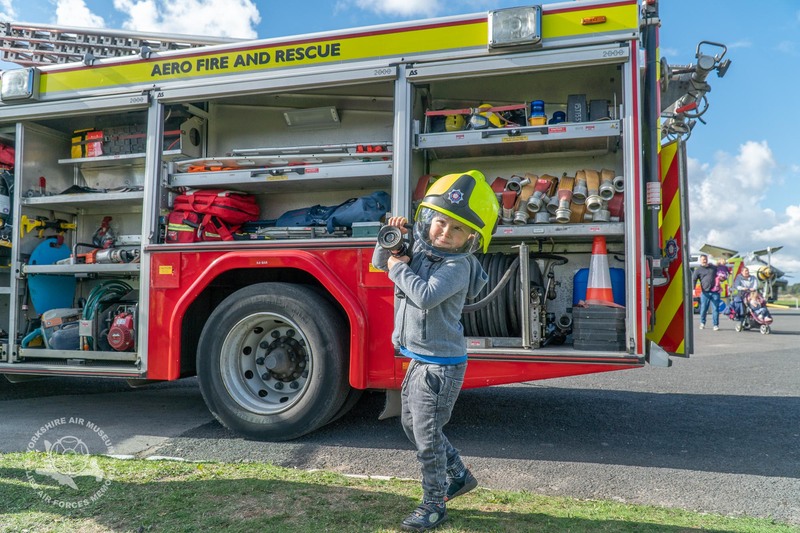 So what happens when you gather together the region’s Emergency Services and let small children loose amongst Police cars, Ambulances and Fire Engines? The result is a very busy day indeed with lots of flashing lights, happy visitors and of course, quite a lot of siren noise. The Museum was filled with a colourful array of specialist vehicles and expertise ranging from volunteer lowland rescue teams, organ donation and transfer teams through to Crime Scene Investigators, expert Police drivers and also the region’s Armed Response Units. The history of rescue services was also remembered, with a display of vintage fire fighting vehicles from across the history of the Fire Service. Here’s a big picture gallery showing the great teams that were with us yesterday and work so hard behind the scenes to keep everyone safe but also some of our visitors who came along to meet them. Well done a brilliant display.